Because the inner workings of the plumbing in your home or office are not visible, you don’t normally notice a problem with the system – until it is too late. This is why it is always a good idea to have your drains serviced on a regular basis. Drain cleaning for residents in the Van Nuys area is one of the many services we provide at Rapid Plumbing. But do you know the signs to look for that will tip you off to a potential drain problem? Here is a list of common signs to watch for. Should you identify any of them, contact us as soon as possible for an inspection. You’ve probably seen this without realizing it. When a shower, sink or tub is slow to drain, it is an indication that something is clogging the drainage pipe. The interesting thing about slow drains is that it tends to develop over a period of time. That’s because we either don’t see a progressive change in the draining or we just don’t realize it until we notice water is not leaving as fast as we remembered. This is a lot like slow draining only it is when water sits in a sink or shower or tub and does not appear to be draining at all. Once again, it points to a clog of some kind in your drainage system. If you leave this thinking it will go away, think again. It could be a tree root growing through your line which will cause more damage the longer you wait. One of the fastest ways a drain problem reveals itself is through smells. 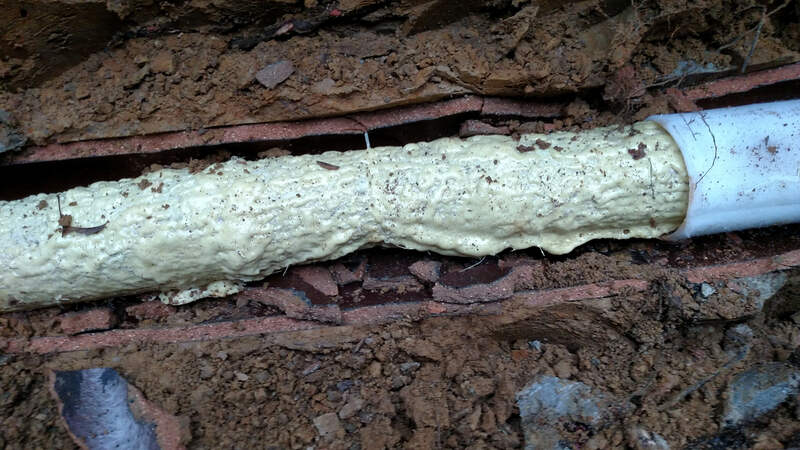 If you can smell sewer gases from any of your drains, this is the sign of something happening to your pipe system. If your pipe is old, it may have broken or collapsed as a result of erosion or just age. Leaving it alone will cause more damage than having it repaired or replaced. One more easy to notice sign of a drain issue shows up in your yard along where the sewer drain runs from your home or business to the main line at the street. If you walk in the path the sewer line runs and notice soft, wet and smelly locations along the way, this could be the sign of a leak or break. To be sure, contact us at Rapid Plumbing. We will send a crew of our professional plumbers to your location to conduct a fast and efficient inspection of the pipes and drains. Should they find anything they will discuss with you the options available to you. At Rapid Plumbing, we use trenchless technologies for all our plumbing repairs. We like it because trenchless technology is easier on the environment. It means we don’t dig up your yard and tear it up with a lot of heavy equipment. Trenchless technologies are also easy on your budget. For a free estimate contact us today by email or phone Rapid Plumbing at 1-818-938-2799.